Travelers have had their down times like in any normal lifestyle in routine, they can be tired and exhausted traveling from place to place or they can be simply evolving into a different travel style that they’ve gotten used to. You can agree (or not) that long-term adventure travel can be tiring and you’ll find yourself wanting some pampering and relaxing mode in between. So, I thought I should write something about Luxurious Things to Do in Bangkok but of course, on a discount travel twist (meaning, on a budget!). 1) Grand Palace – That is the iconic place to visit in Bangkok, looking at postcards and magazines or even Facebook friends who have gone to Bangkok will have the photo of the reclining Buddha which is in the vicinity of The Grand Palace. It is touristy but at least you don’t have to hike or climb a mountain to see it, just wear proper clothes and pay the entrance fee. You can also read more about it on my post: Bangkok’s Majestic Grand Palace. 2) Dinner Cruise – Chao Phraya river in Bangkok is the place to check out for dinner cruises that you can hop on for a night glowing sceneries of the city. Choices can be from modern yacht to traditional Thai boat services offered by different agencies and even 5 Star Hotels you can choose from, whichever fancies your mood. The fancier the boat is the pricier it gets, but you’ll always have a better deal researching and planning more about it. I thought, I should share what I’ve experience literally and not just by telling you stories and making you envy with all the photos. You too can now enjoy the great dinner cruise experience I’ve had. 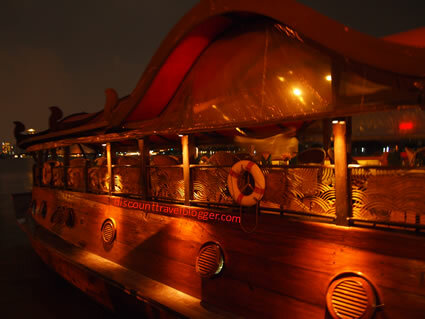 Story of the dinner cruise can be found on “Chao Phraya’s Manorah Dinner Cruise“. 3) Bar Hopping – Though I don’t drink alocohol(much), it would not stop me hanging out with my friends at the bar and wouldn’t mind that I’m the only person that sips Mango smoothie, Iced Tea, or a Mocktail in the room as they drink their way to the merriment of the night. 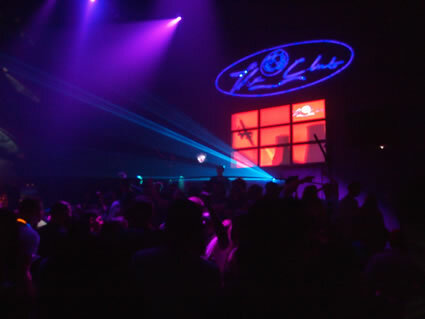 People go there to hang out with friends and meet new people aside from being wasted, and Bangkok has a lot of mind blowing bars, from glow in the dark, sky lounges, roof deck, themed bars, etc. 4) Hearty Food Trip – Thailand is generally a food heaven which obviously why Thai food is one of the most popular cuisine in Southeast Asia if not the most. Thai cooking classes are easy to find around from the northern part of the country, Chiang Mai in which most of tour package choices includes Thai cooking classes and obviously in the city. Bangkok, however, has a non-profit organization that helps out refugees in Thailand called, In Search of Sanuk. You can visit them anytime to help and if you wish to organize a visit, the organizers can arrange a nice meal wherein refugees are glad to cook you some Thai dishes to prepare for you in return of a small donation. Read more about In Search of Sanuk‘s mission like #freehugsBKK! Address: Khlong Toei, Bangkok / Terminal 21 5th Flr. Shopping malls have food courts that offers affordable meals, snacks and great restaurants that offers different variety of cuisines to choose from. 5) Relax and Pamper Yourself – Aside from shopping from the street and shopping malls to pamper yourself there are also specialized salons and spas in the city to get your make over and just simply relax. What better way to do it in Thailand than getting a Thai Massage or go to a salon, I prefer going to the spa and relax the whole day if I can. You can also take advantage of 15-20% discount coupons from these awesome resort spas. Yes, you can claim your exclusive Discount Travel Blogger’s deal we got for you, the discount coupon to all Let’s Relax Spa branches by clicking the discount code and print out the coupon that you will present at their branches to claim your discounted service! Let’s Relax Spa – has total of 10 branches all over Thailand that you can visit. The 15% discount is exclusive for Discount Travel Blogger readers that you can claim from all 10 branches; Four branches in Bangkok, 2 in Phuket, Hua Hin, Pattaya, Chiang Mai, and Koh Samui. Their prices starts from 150THB! Take advantage of the exclusive discount travel blogger’s code except for the Dream Package and Heavenly Relax. Rarinjinda Wellness Spa – Rarinjinda is a high end resort and wellness spa that offers unique and relaxing massages and wellness services from their highly trained staff with a total of 3 branches in Thailand with 1 in Chiang Mai and 2 in Bangkok. Their comprehensive packages will surprise you with its exotic variety from Ayurvedic Hide Away to Elements of Life, they are combination of exotic treatments like listening to Tibetan music on a warm sand bed will send you in a meditative state. Their prices is from 1,000 THB onwards, and you can also take advantage of exclusive 20% discount that you can get only from discount travel blog! I honestly don’t get any commission from all these, this is from an amazing experience and instead of getting something for myself, I thought of my readers. YOU. Yes, you! I thought I can get you some discount coupons to experience them on your own. I hope you enjoy your stay in Bangkok!